Customer First is at the forefront of everything we do. We recognize that YOU are the purpose of our business and your total satisfaction is our number one priority. We are a family-owned business that has been serving the Puget Sound since 1970. We’re proud of our long-tenured, professional staff and look forward to serving you. Our award-winning service and parts department are comprised of friendly Service Advisors, Master Diagnostic Technicians, Express Maintenance Teams and Toyota Parts Specialists. We use the latest in technology to ensure your vehicle is fixed right the first time. We are also a full-line Toyota Tire Dealer. To make your experience more enjoyable, we offer several complimentary services, including: shuttle service to surrounding areas, loaner vehicles for most services, gourmet coffee & cookies, free WiFi, spot-free car wash, vacuum & more. Toyota of Puyallup is Western Washington’s most awarded Toyota Dealer for customer satisfaction. We proudly serve the communities of Puyallup, Tacoma, Bonney Lake, South Hill, Eatonville, Graham, Spanaway, Fredrickson and many other Pierce County neighborhoods. At Toyota of Puyallup you can expect a member of our long-tenured staff to give you the highest level of customer service in the industry. We stock hundreds of Toyota vehicles including; the new Camry, new RAV4, new all-wheel drive Highlander, new Tacoma trucks and more. We are a new, used and certified pre-owned Toyota dealer serving the greater Tacoma and Seattle area. You'll find the new Tundra truck, Corolla or Prius hybrid you're looking for at our dealership. Shop New Toyota Inventory here. Our sales consultants will guide you through the sales process including connected systems, safety features, ToyotaCare and all the amenities that Toyota of Puyallup offers. We carry dozens of low-mileage used Toyota models, including RAV4, Corolla, Prius, Avalon, Sienna, 4Runner and more. Our certified pre-owned Toyota models have been meticulously inspected by our factory-trained service technicians and come with one year of Roadside Assistance, a 7-year/100,000 mile Limited Powertrain warranty and a full vehicle history report. 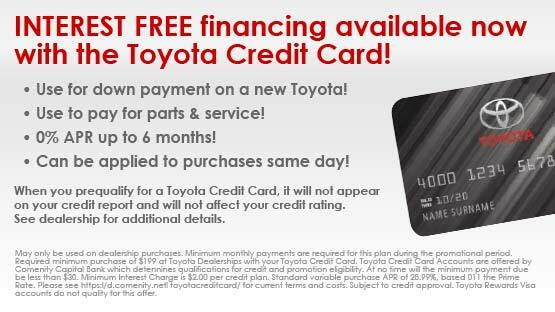 Toyota of Puyallup has the perfect Toyota for your budget. We want to help keep your new Toyota truck, car or SUV running smoothly and efficiently for years to come. Visit our Toyota service and auto repair department in Puyallup, WA for routine maintenance. Our technicians are skilled and experienced on all of our models, and we proudly serve the entire Puyallup and greater Seattle-Tacoma area as well.